In an effort to try and explore new techniques and methods of illustration, I’m starting the new year with my top ten favorite women in history. When I say “favorite” I’m mean the ladies I find to be most interesting. They weren’t all the most popular or most heroic, in fact, several are more villainous than victorious. So… here is my number 10. 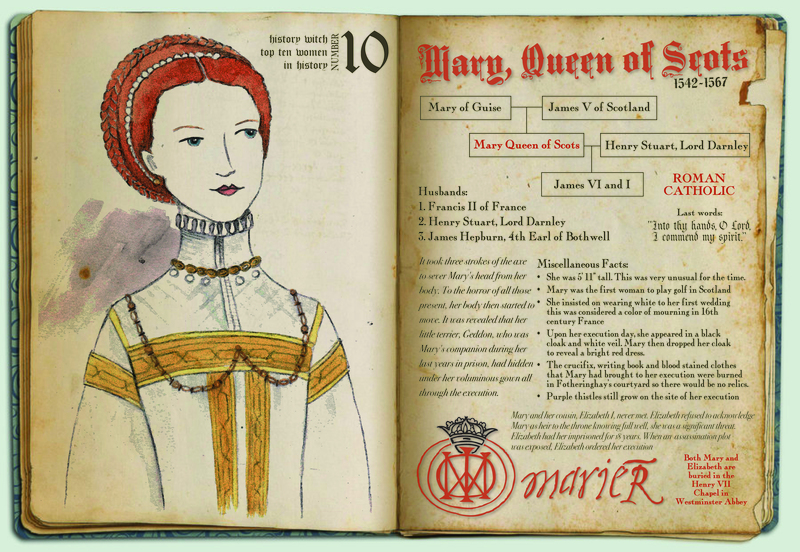 Mary Queen of Scots. Maryr? Murderer? so much scandal!! !